As a blogger and marketer, you know that shares are like gold. Sure, comments and page views are fun to track, but no other metric drives readers like the share. Once someone shares your post, they invite their friends and colleagues to check it out as well — and your audience can snowball from there. That’s why we’re taking a look at 25 influential bloggers and content marketers who understand the power of sharing. They have their fingers on the pulse of the marketing world, and they’ve used shares to build their own sizable audiences of engaged readers. As the Head of Content for MarketingProfs.com — which provides real-world education for the modern marketer — Ann Handley is “waging a war on mediocrity in content marketing.” She uses her Twitter feeds — @MarketingProfs and @AnnHandley — to provide updates on the marketing world and insights from her blog. Author and entrepreneur Seth Godin runs one of the most popular blogs in the marketing world. His daily posts are full of pearls of wisdom, such as “On being discovered” and “The problem with direct experience.” While he doesn’t host comments on his blog, you can check out his Facebook page to join the discussion. Beth Comstock is one of the most influential people in tech, making executive decisions for a leading brand in the content marketing space: GE. Starting as Chief Marketing and Commercial Officer for the company, Comstock is now Vice Chair. 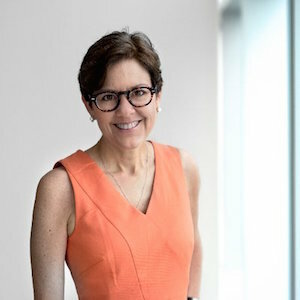 She’s responsible for accelerating new growth and overseeing GE Business Innovations, which develops new service models within the corporation. It’s no surprise, then, that Forbes named Comstock one of the world’s most powerful women. It’s tough to have a conversation about marketing influencers without hearing the name Jeff Bullas. Bullas has been a social media marketing blogger and strategist for decades, with a mission to “Inspire and educate entrepreneurs to grow their business in a digital world.” His website, jeffbullas.com, receives over 5 million visitors a year, and he’s consistently named one of the top influencers in the marketing industry. Mari Smith isn’t just a social media guru — she’s a Facebook marketing expert. As a keynote speaker and consultant, Smith helps brands and entrepreneurs improve their social strategies. She’s also a founding contributor of Social Media Examiner, one of the most notable social strategy hubs on the web. Bryan Kramer truly understands sharing. As the CEO of Pure Matter and the author of Shareology: How Sharing is Powering the Human Economy, Kramer is committed to helping businesses humanize their marketing. How? By promoting the Human to Human — or #H2H — movement through his blog, keynote talks, and social feeds. Gary Vaynerchuk might be the most prolific and impassioned marketing expert in the industry. His social accounts, blog, and YouTube channel are constantly churning with new ideas and inspirations. When it comes to his approach, “enthusiastic” is an understatement. As CEO of Vayner Media and advisor to major companies like Uber, Snapchat, and Facebook, Vaynerchuk makes it his mission to help everyone find and pursue their passion through the power of marketing. Kevan Lee is one of the minds behind Buffer, a social media publishing tool that runs an oft-cited marketing blog. As Director of Marketing for the company, Lee covers everything from the best image sizes for social posts to getting verified on Twitter. His writing can be seen on sites such as the Buffer blog, Entrepreneur, and The Next Web. “Your words create change.” That’s the Twitter tagline of Joanna Wiebe, founder of Copy Hackers and Airstory, two companies that help entrepreneurs boost conversions through the power of words. With 15 years of experience in the industry, Wiebe calls herself “the original conversion copywriter,” standing on the front lines of conversations around blogging, marketing, and irresistible copy. Jay Baer is driven by a simple put powerful mission: Turn your customers into more customers. As a customer service expert, Baer is the founder of Convince & Convert, a consulting company and media outlet that helps major brands drive success on digital platforms. He also created the Social Pros podcast, bringing the latest social tips and insights to your speakers. Toto, we’re not in Kansas anymore. We’re off to see the Wizard of Moz — that is, Rand Fishkin, the founder of the notable SEO software startup, Moz. In 2001, while everyone was still trying to understand how to access their AOL emails, Fishkin was researching the importance of organic search. While he recently stepped away from day-to-day operations at his SEO empire, he still regularly shares his insights on his blog and social channels. Lee Odden is the CEO of TopRank Marketing, a digital marketing agency. While the company is based in Minneapolis, it has gained worldwide recognition thanks to Odden’s must-read TopRank Marketing blog, which covers everything from content marketing and influencer marketing to social media strategies and SEO. Odden shares his wisdom via his active Twitter feed and keynotes and presentations across the globe. Guy Kawasaki is a legend in the marketing industry. Most notably, he’s a pioneer of evangelist marketing, having held the title of Chief Evangelist at Apple back in the 1980s. Today he uses his tech evangelism to “spread the good news” for Canva, a graphic design platform based in Australia. Kawasaki boasts 1.5 million Twitter followers, frequently sharing insights from his digital series, “Wise Guy,” as well as Guy’s Daily Paper. Sonia Simone is the co-founder and Chief Content Officer of Rainmaker Digital — formerly Copyblogger Media, born from one of the most influential marketing blogs on the web. Simone also heads up Authority, Copyblogger’s virtual community of content marketers. And she regularly shares her insights on two podcasts, Confessions of a Pink-Haired Marketer and Copyblogger FM. Neal Schaffer is all about this phrase: Maximize Your Social. He’s the founder and Editor in Chief of the Maximize Social Business blog, which helps businesses learn how to make the most of their social efforts. And he runs the companion podcast, Maximize Your Social. Most recently, however, Schaffer launched PDCA Social, a Japan-based agency that empowers businesses to generate greater ROI from their social channels. Pam Neely is a Copyblogger Certified Master Content Marketer and one of the 20 most influential content marketers of 2016. As the owner of City Different Marketing LLC, Neely helps small businesses grow their audiences through SEO, copywriting, and conversion testing. On social media, Neely’s Twitter account is a goldmine for original marketing research, including the 15 elements that successful blogs have in common and the most effective content promotion strategies. Entrepreneur and marketing maven Larry Kim is best known as the founder of WordStream, a software for search engine and social media advertising — and host of a popular marketing blog. Just this year, however, Kim left WordStream to start a new company, Mobile Monkey, through which he’ll help businesses turn mobile visitors into high-quality leads. If you’ve ever used a HubSpot article to help you fine-tune your blog or marketing strategy — or if you use HubSpot to run your blog — then you have Brian Halligan to thank. He’s the CEO and co-founder of the inbound marketing and sales software company, and has built an engaged social following on Twitter and a reputation as a go-to source for marketing news. As a pioneer of the content marketing movement, Joe Pulizzi is the founder of the Content Marketing Institute, a leading education and training organization for content marketing. In fact, he calls himself “the poster boy for content marketing,” sharing the merits of the strategy through keynote speeches, blog posts, and social updates. He’s also responsible for launching Content Marketing World, the largest in-person industry event across the globe. Pam Moore is a self-proclaimed marketing nut. In fact, she’s so crazy about marketing that she co-founded a social media training and consulting company called Marketing Nutz. She also runs Social Profit Factor Training Academy, a social media training system and member community for entrepreneurs. Her blog and social feeds are go-to resources for marketing insights. There’s no missing Neil Patel‘s impact on the marketing world. He’s the co-founder of marketing solutions such as Crazy Egg, Hello Bar, and KISSmetrics. And he runs the wildly successful website analytics program and publication, QuickSprout. Basically, if it helps people increase their traffic, Patel has a hand in it. And that’s why he should be on your radar. John Jantsch is a marketing consultant and the creator of Duct Tape Marketing, which trains and licenses small business marketing consultants across the globe. With over 20 years of experience in the industry, The Huffington Post calls Jantsch one of the top 100 “Must Follow” on Twitter, and Forbes named Duct Tape Marketing one of the 100 best websites for entrepreneurs. As a Principal Analyst and self-proclaimed “futurist” at the research firm, Altimeter, Brian Solis is out to understand — and drive — disruption in marketing and technology. Most notably, his industry reports track trends, humanize technology, and help business leaders navigate this brave new world of digital transformation. His work can also be seen on Forbes, The Next Web, and AdAge. These influential bloggers and content marketers truly understand the power of social sharing. You can also leverage our best practicesand share buttons like the blogger share button to build your own audience of engaged readers. Better yet, subscribe to our newsletter today to get the latest news, tips, and thought-leadership content to stay on top of your game!